Living in the South West Florida Area has its advantages in many aspects. However, water quality has never been one of those benefits. Having a water filtration system installed in your home will improve your water’s quality by removing mineral causing harm to your home, removing impurities causing harm to you, reducing waste and the over cost associated with buying bottled water. Tap water coming directly from any tap in your home contains natural minerals from ground-water that is gathered along the way. While some of these minerals are harmless to your home, many more can cause damage to your home’s appliances, pipes, and even your dinnerware. Limestone, for example, causes a buildup that can corrode pipes, and the heating elements in your washer, water and more depending on what you have in your home. Your pots, pans, and dinnerware suffer from a white buildup that can prove difficult if not impossible to remove. Reports from the USGS dating back forty years ago report this to be a problem because of the sources of the water. Water filtration can remove limestone and other minerals. Having your water tested will tell you what is present in your water and to what degree. This will help to prevent this damage that can cause hundreds if not thousands in damage over time. Without even considering the damage to your home, consider the damage to your body through the contaminants’ such as chlorine, chloride, lead and more. The above report and your local reports tell of the pollutants in your water that can and do cause harm to your body on a daily and over time basis. In showers, the damage is worse due to the vapors that are released and the direct inhalation and prolonged inhalation. Chlorine is present in all city tap water to reduce bacteria and the higher the levels the more damaging to your skin and hair. Healthy bodies are just a necessity to last one long into the future. 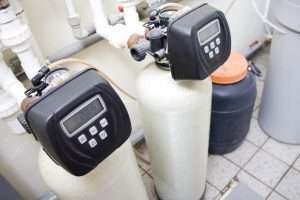 A whole house water filtration system can eliminate these concerns. Through the use of bottle water, we are wasting the equivalent of crude oil to power 12m car per year and filling up our landfills with the bottles and plastic labels. While it may not seem like enough with regards to the labels, they are not going anywhere. In most cases, they are not biodegradable. The amount of water it takes to make one bottle of water is also more. There is a waste in the making, it takes water to produce water and how often do you see half drank bottle just lying around? Can you imagine that there are at least 89 billion liters of water bottled every day? Water filtration systems will the issues causing alarm in our environment. In South West Florida, the harm is a direct impact on ocean life where they are often left littered on the beach. Along with the waste comes the overall cost of bottle water. Anyone who buys bottle water knows that you buy two or so cases at a time. At a typical cost of four dollars a case, the cost factor for a family of four can quickly run into an easy fifty a month, and that’s not a sport loving family. That is only the cost to you as a consumer, remember the above the cost to the environment. A single bottle of water at a kid’s sports event can run two to three dollars a bottle, and at an adult’s you can double that figure. Utilizing a water filtration system is one of the healthiest and wisest decisions a person can make within their home. It saves time, money, the environment, and more in their lives on a daily basis. 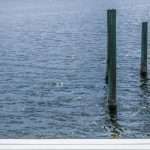 There are many types of systems to choose from and deciding what system best suits your needs will depend on your lifestyle and water testing in South West Florida. So give Crystal-Clear Water a call today and one of our experts can go over your options with you to make sure you get the possible home water filtration system for you, your family, and your home.